What do you need done? That's what we do! 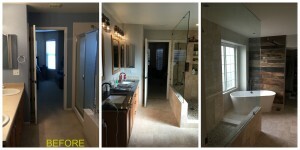 The Service Guys took a contractor grade bathroom in Erie, CO and upgraded it into a beautiful, contemporary showpiece.